Rome is a magnificent, tangled urban forest, rich in art, culture, and history. The city has many layers — modern, Baroque, Renaissance, Christian. But let's face it: For most of us, Rome is Caesar, gladiators, chariots, and thumbs-up or thumbs-down. Ancient Rome is the one we come to see. Luckily, it's possible to knock off the top symbols of Rome's magnificence — the Colosseum, Forum, and Pantheon — in one great day of sightseeing. Just link the biggies together in what I call the "Caesar Shuffle." 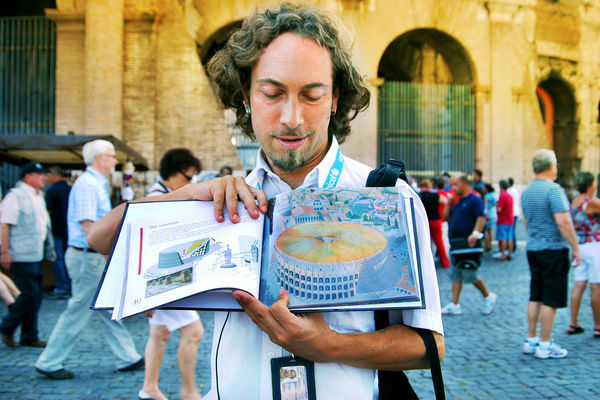 Begin peeling back Rome's past at the Colosseum, the city's most popular relic (legend has it that as long as the Colosseum stands, so shall the city of Rome). From the start, the Romans were expert builders. They pioneered the use of concrete and the rounded arch, which enabled them to build on this tremendous scale. This awesome example of ancient Roman engineering was begun in AD 72, when the Empire was nearing its peak. Imagine being an ancient spectator arriving for the games. Fans poured in through ground-floor entrances. Your ticket (likely a piece of pottery) was marked with your entrance, section, row, and seat number. Stepping inside, you can almost hear the roar of the Empire. Ancient Romans, whose taste for violence exceeded even modern America's, came to the Colosseum to unwind. The games began with a few warm-up acts — dogs attacking porcupines, female gladiators fighting each other, or a one-legged man battling a dwarf. Then came the main event: the gladiators. The best were rewarded like our modern sports stars, with fan clubs, great wealth, and, yes, product endorsements. Don't be taken in by the wannabe gladiators that swarm outside the Colosseum today. They pose for photos with tourists for photos with tourists and then attempt to intimidate them for lots of money. Don’t be swindled. Today the site is littered with small fragments of the huge buildings that once stood here. The main street — the Via Sacra — still cuts authoritatively through the heart of the Forum, just as it did 2,000 years ago. But you'll mostly see crumbling columns and half-buried foundations. Still, walking along the rubble paths, I can't help but think I'm kicking some of the same pebbles that stuck in Julius Caesar's sandals. What happened to the long-gone buildings? Earthquakes destroyed some of them, but more than anything, they were scavenged by Roman citizens. They carted off the precut stones and reused them in palaces and churches (some bits of the Colosseum ended up in St. Peter's Basilica across town). Thankfully, no one recycled the magnificent Pantheon (AD 120), the best-preserved temple from ancient Rome. This stately building, about a 20-minute walk from the Forum, is the ideal remedy for a brain tired from mentally reconstructing the Colosseum or Forum. 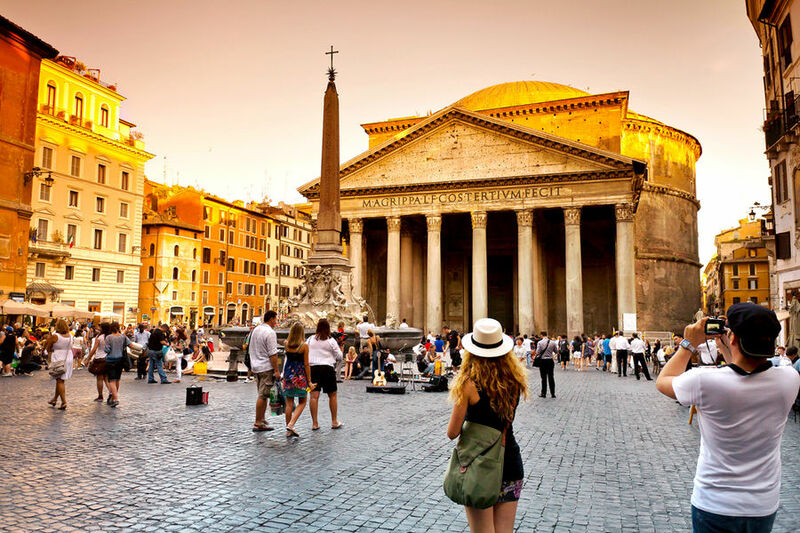 The Pantheon survived so well because it's been in continuous use for more than 2,000 years. It went almost directly from being a pagan temple to being a Christian church. Even if built to exalt the gods, the Pantheon is just as much a symbol of Roman human greatness. The massive, 40-foot granite columns that support its portico are so huge, it takes four tourists to hug one. Entering here (it's free), you feel the power and ambition that fueled the Empire. The dome's dimensions are classic — based on a perfect circle, as wide as it is tall (140 feet) — and its construction is ingenious. It's made of poured concrete, which gets thinner and lighter with height — the highest part is made with pumice, an airy volcanic stone. This was the largest dome anywhere until the Renaissance. Only then did Brunelleschi jump-start that new artistic era by borrowing some of Pantheon's features for his cathedral dome in Florence. The wonder of ancient Rome is not how much of it has disappeared, but how much still exists. For nearly 2,000 years, the Colosseum, Forum, and Pantheon have been the iconic symbols of the Eternal City. 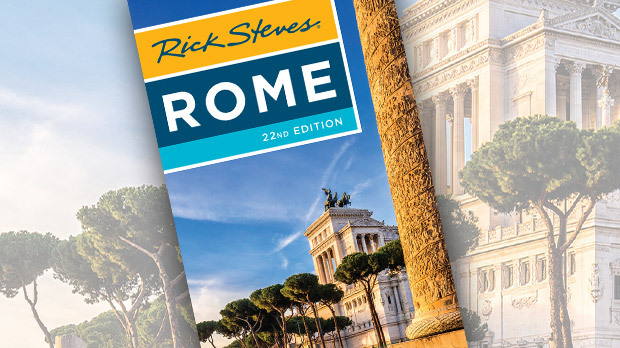 After doing the Caesar Shuffle, you'll give an unreserved thumbs-up to Rome's enduring grandeur.